Due to its necessity of analytical thinking and knowledge of business sciences, the accounting profession doesn’t require muscle strength but definitely requires a powerful brain. Also, due to the variety of clients and their industry and firm-specific specific expertise, the auditor doesn’t operate as a sole entity and requires a league of staff to continue the profession. On the other hand, the client may prefer not to work with the auditor and rotate the engagement auditor or the audit firm. This research was decided as a tool to present a detail about Turkish listed companies’ independent audit.Using a sample of 1,668 firm*year observations between 2005 and 2015, this research serves an insight to the audit characteristics of manufacturing companies listed on Borsa İstanbul. Descriptive statistics are presented as the opinion, audit firm type, engagement auditor gender, audit firm and engagement auditor rotations. Also using cross- variable analyses, relationship between “audit opinion and audit firm”, “audit firm and auditor gender” and “auditor gender and audit opinion” are presented. This research contributes to the accounting literature by providing a detailed perspective on the audit structure of an emerging market. Analitik düşünme ve işletme bilimleri bilgisi gereklilikleri sebebiyle, muhasebe bilimi kas gücünden ziyade kuvvetli bir beyine ihtiyaç duyar. Ayrıca, müşteri çeşitliliği, onların endüstri ve işletmeye özel uzmanlık gereksinimleri nedeniyle, denetçi kendi başına faaliyetini yürütemez ve mesleğini devam ettirebilmek için ekibe ihtiyaç duyar. Bir diğer taraftan, müşteri işletme denetçi veya denetim firması ile çalışmayı tercih etmeyebilir ve denetçiyi veya denetim firmasını değiştirebilir. Bu değişkenleri göz önüne çalışma ülkemizde halka açık üretim işletmelerinin denetim karakteristiğini ortaya için hazırlanmıştır.Bu çalışma 2005 ile 2015 yılları arasında 1.668 şirket-yıl örneklemini kullanarak, Borsa İstanbul'a kote üretim şirketlerinin denetim karakteristiğini ortaya koymaya çalışmaktadır. Deskriptif istatistik kullanarak denetim görüşü, denetim şirketi türü, sorumlu ortak baş denetçi cinsiyeti, denetim şirketi ve sorumlu ortak baş denetçi rotasyonları sunulmuştur. Ayrıca değişkenlerarası analizler ile "denetim görüşü ve denetim şirketi", "denetim şirketi ve denetçi cinsiyeti" ve "denetçi cinsiyeti ve denetim görüşü" aralarındaki ilişki ortaya konmuştur. Bu çalışma denetim sektörünün gelişmekte olduğu ülkemize ilişkin detaylı bir perspektif sunarak muhasebe literatürüne katkı sağlamaktadır. Abdel-Meguid, A. M., Duellman, S., & Ahmed, A. S. (2013). Auditor independence, corporate governance and aggressive financial reporting: an empirical analysis. Journal of Management & Governance, 17(2), 283–307. Agrawal, A., & Chadha, S. (2005). Corporate Governance and Accounting Scandals. The Journal of Law and Economics, XLVIII(October), 371–406.Arnedo, L., Lizarraga, F., & Sánchez, S. (2008). Going-concern Uncertainties in Pre-bankrupt Audit Reports: New Evidence Regarding Discretionary Accruals and Wording Ambiguity. International Journal of Auditing, 12(1), 25–44. Arrunada, B. (2000). Audit quality: attributes, private safeguards and the role of regulation. European Accounting Review, 9(2), 205–224. Arun, T. G., Almahrog, Y. E., & Ali-aribi, Z. (2015). Female Directors and Earnings Management: Evidence from UK companies. International Review of Financial Analysis. Bamber, E. M., & Bamber, L. S. (2009). Discussion of “Mandatory Audit Partner Rotation, Audit Quality, and Market Perception: Evidence from Taiwan.” Contemporary Accounting Research, 26(2), 393–402. Barton, J. (2005). Who Cares about Auditor Reputation? Contemporary Accounting Research, 22(3), 549–586.Behn, B. K., Carcello, J. V, Hermanson, D. R., & Hermanson, R. H. (1999). Client Satisfaction and Big 6 Audit Fees. Contemporary Accounting Research, 16(4), 587–608.Blouin, J., Grein, B. M., & Rountree, B. R. (2007). An Analysis of Forced Auditor Change: The Case of Former Arthur Andersen Clients. The Accounting Review, 82(3), 621–650.Breesch, D., & Branson, J. (2009). The Effects of Auditor Gender on Audit Quality. The IUP Journal of Accounting Research & Audit Practices, VIII(3&4), 78–108.Bushman, R. M., & Smith, A. J. (2003). Transparency, Financial Accounting Information, and Corporate Governance. FRBNY Economic Policy Review, 9(1), 65–87.Carson, E., Simnett, R., Soo, B. S., & Wright, A. M. (2012). Changes in Audit Market Competition and the Big N Premium. Auditing: A Journal of Practice & Theory, 31(3), 47–73. Cenker, W. J., & Nagy, A. L. (2008). Auditor Resignations and Auditor Industry Specialization. Accounting Horizons, 22(3), 279–295. Chen, C., Martin, X., & Wang, X. (2013). Insider Trading, Litigation Concerns, and Auditor Going-Concern Opinions. Accounting Review, 88(2), 365–393. Choi, J. H., & Lee, W. J. (2014). Association Between Big 4 Auditor Choice and Cost of Equity Capital for Multiple-Segment Firms. Accounting and Finance, 54(1), 135–163. Choi, S., Choi, Y.-S., Gul, F. a., & Lee, W.-J. (2015). The impact of mandatory versus voluntary auditor switches on stock liquidity: Some Korean evidence. The British Accounting Review, 47(1), 100–116. Christensen, B. E., Glover, S. M., & Wolfe, C. J. (2014). Do Critical Audit Matter Paragraphs in the Audit Report Change Nonprofessional Investors’ Decision to Invest? Auditing: A Journal of Practice & Theory, 33(4), 71–93.Comprix, J., & Huang, H. (2015). Does auditor size matter? Evidence from small audit firms. Advances in Accounting. Daugherty, B. E., Dickins, D., Hatfield, R. C., & Higgs, J. L. (2012). An Examination of Partner Perceptions of Partner Rotation: Direct and Indirect Consequences to Audit Quality. Auditing: A Journal of Practice & Theory, 31(1), 97–114.DeFond, M. L., Raghunandan, K., & Subramanyam, K. R. (2002). Do Non-Audit Service Fees Impair Auditor Independence? Evidence from Going Concern Audit Opinions. Journal of Accounting Research, 40(4), 1247–1275.Ewelt-Knauer, C., Gold, A., & Pott, C. (2013). Mandatory Audit Firm Rotation: A Review of Stakeholder Perspectives and Prior Research. Accounting in Europe, 10(1), 27–41.Firth, M. a., Mo, P. L. L., & Wong, R. M. K. (2014). Auditors’ Reporting Conservatism after Regulatory Sanctions: Evidence from China. Journal of International Accounting Research, 13(2), 1–24.Firth, M., Rui, O. M., & Wu, X. (2012). How Do Various Forms of Auditor Rotation Affect Audit Quality? Evidence from China. The International Journal of Accounting, 47(1), 109–138. Fischbacher, U., & Stefani, U. (2007). Strategic Errors and Audit Quality: An Experimental Investigation. The Accounting Review, 82(3), 679–704.Francis, B., Hasan, I., & Wu, Q. (2013). The Impact of CFO Gender on Bank Loan Contracting. 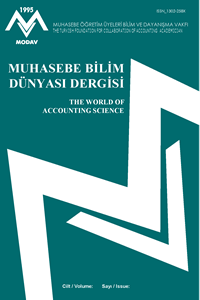 Journal of Accounting, Auditing & Finance, 28(1), 53–78.Francis, J. R., Yu, M. D., & Georgia, W. (2013). Office Size of Big 4 Auditors and Client Restatements. Contemporary Accounting Research, 30(4), 1626–1661.García Blandón, J., & Argilés Bosch, J. M. (2013). Audit firm tenure and qualified opinions: New evidence from Spain. Spanish Accounting Review, 16(2), 118–125.Geiger, M. A., & Raghunandan, K. (2002). Auditor Tenure and Audit Reporting Failures. Auditing: A Journal of Practice & Theory, 21(1), 67–78.Gold, A., Hunton, J. E., & Gomaa, M. I. (2009). The Impact of Client and Auditor Gender on Auditors’ Judgments. Accounting Horizons, 23(1), 1–18. González-Díaz, B., García-Fernández, R., & López-Díaz, A. (2015). Auditor tenure and audit quality in Spanish state-owned foundations. Spanish Accounting Review, 18(2), 115–126. Gray, G. L., & Ratzinger, N. V. S. (2010). Perceptions of preparers, users and auditors regarding financial statement audits conducted by Big 4 accounting firms. International Journal of Disclosure and Governance, 7(4), 344–363. Griffin, P. A., Lont, D. H., & Sun, Y. (2009). Governance regulatory changes , International Financial Reporting Standards adoption , and New Zealand audit and non-audit fees : empirical evidence. Accounting and Finance, 49(April), 697–724.Gul, F. a., Hutchinson, M., & Lai, K. M. Y. (2013). Gender-Diverse Boards and Properties of Analyst Earnings Forecasts. Accounting Horizons, 27(3), 511–538. Gul, F. a., Zhou, G. (Stephen, & Zhu, X. (Kevin. (2013). Investor Protection, Firm Informational Problems, Big N Auditors, and Cost of Debt around the World. Auditing: A Journal of Practice & Theory, 32(3), 1–30. Healy, P. M., & Palepu, K. G. (2001). Information Asymmetry, Corporate Disclosure, and the Capital Markets: A Review of the Empirical Disclosure Literature. Journal of Accounting and Economics, 31(1–3), 405–440.International Auditing and Assurance Standards Board. Forming an Opinion and Reporting on Financial Statements, Pub. L. No. International Standard on Auditing 700, 653 (2009).International Auditing and Assurance Standards Board. Going Concern, Pub. L. No. International Standard on Auditing 570 (2009).International Auditing and Assurance Standards Board. Modifications To the Opinion in the Independent Auditor’s Report, Pub. L. No. International Standard on Auditing 705, 682 (2009).Ittonen, K., Vähämaa, E., & Vähämaa, S. (2013). Female Auditors and Accruals Quality. Accounting Horizons, 27(2), 205–228. Jenkins, D. S., & Velury, U. K. (2012). Auditor tenure and the pricing of discretionary accruals in the post-SOX era. Accounting and the Public Interest, 12(1), 1–15. Kim, J.-B., Chung, R., & Firth, M. (2003). Auditor Conservatism, Asymmetric Monitoring, and Earnings Management. Contemporary Accounting Research, 20(2), 323–359.Knechel, W. R., Naiker, V., & Pacheco, G. (2007). Does Auditor Industry Specialization Matter? Evidence from Market Reaction to Auditor Switches. Auditing: A Journal of Practice & Theory, 26(1), 19–45.Krishnan, G. V., & Parsons, L. M. (2007). Getting to the Bottom Line: An Exploration of Gender and Earnings Quality. Journal of Business Ethics, 78(1–2), 65–76.Kwon, S. Y., Lim, Y. D., & Simnett, R. (2014). Mandatory Audit Firm Rotation and Audit Quality: Evidence from the Korean Audit Market. Auditing: A Journal of Practice & Theory, 33(4), 167–195.La Porta, R., Lopez-de-Silanes, F., Shleifer, A., & Vishny, R. (2000). Investor Protection and Corporate Governance. Journal of Financial Economics, 58(1–2), 3–27. Lee, H.-Y., Mande, V., & Son, M. (2009). Do Lengthy Auditor Tenure and the Provision of Non-Audit Services by the External Auditor Reduce Audit Report Lags? International Journal of Auditing, 13(2), 87–104. Lin, J. W., & Hwang, M. I. (2010). Audit Quality, Corporate Governance, and Earnings Management: A Meta-Analysis. International Journal of Auditing, 14(1), 57–77.Liu, J., Wang, Y., & Wu, L. (2011). The Effect of Guanxi on Audit Quality in China. Journal of Business Ethics, 103(4), 621–638.Marnet, O. (2008). Behaviour and Rationality in Corporate Governance. New York, NY, USA: Routledge.Mong, S., & Roebuck, P. (2005). Effect of audit report disclosure on auditor litigation risk. Accounting and Finance, 45(1), 145–169.Myers, J. N., Myers, L. A., & Omer, T. C. (2003). Exploring the Term of the Auditor-Client Relationship and the Quality of Earnings: A Case for Mandatory Auditor Rotation? The Accounting Review, 78(3), 779–799.Ocak, M., & Can, G. (2018). Engagement Partners Attributes and Earnings Quality: Evidence from Borsa İstanbul. Afro-Asian Journal of Finance and Accounting. Forthcoming.Reheul, A.-M., Van Caneghem, T., & Verbruggen, S. (2013). Auditor Performance, Client Satisfaction and Client Loyalty: Evidence from Belgian Non-Profits. International Journal of Auditing, 17(1), 19–37. Richard, C. (2006). Why an Auditor can’t be Competent and Independent : A French Case Study. European Accounting Review, 15(2), 153–179.Robinson, D. (2008). Auditor Independence and Auditor-Provided Tax Service: Evidence from Going-Concern Audit Opinions Prior to Bankruptcy Filings. Auditing: A Journal of Practice & Theory, 27(2), 31–54. Ruiz Castro, M. (2012). Time Demands and Gender Roles: The Case of a Big Four Firm in Mexico. Gender, Work & Organization, 19(5), 532–554. Sikka, P. (2009). Financial crisis and the silence of the auditors. Accounting, Organizations and Society, 34(6–7), 868–873.Skinner, D. J., & Srinivasan, S. (2012). Audit Quality and Auditor Reputation: Evidence from Japan. The Accounting Review, 87(5), 1737–1765. Stiglitz, J. E. (2010). The Financial Crisis of 2007–8 and its Macroeconomic Consequences. In S. Griffith-Jones, J. A. Ocampo, & J. E. Stiglitz (Eds. ), Time for a Visible Hand (1st ed., pp. 19–50). Oxford, UK: Oxford University Press.Sun, J., Liu, G., & Lan, G. (2010). Does Female Directorship on Independent Audit Committees Constrain Earnings Management? Journal of Business Ethics, 99(3), 369–382.Thomsett, M. C. (2005). Getting Started in Fundamental analysis. New Jersey, NJ, USA: John Wiley & Sons.Tietz, W. M., & State, K. (2007). Women and Men in Accounting Textbooks : Exploring the Hidden Curriculum. Issues in Accounting Education, 22(3), 459–480.Ting, W., Yen, S.-H., & Chiu, C.-L. (2008). The Influence of Qualified Foreign Institutional Investors on the Association between Default Risk and Audit Opinions: Evidence from the Chinese Stock Market. Corporate Governance: An International Review, 16(5), 400–415. Tracy, J. A. (2008). Accounting for Dummies. Hoboken, NJ, USA: John Wiley & Sons, Inc.Vahamaa, E. (2014). Executive Turnover, Gender, And Earnings Management: An Exploratory Analysis. Accounting Perspectives, 13(2), 103–122. Vermeer, T. E., Raghunandan, K., & Forgione, D. A. (2013). Going-Concern Modified Audit Opinions for Non-Profit Organizations. Journal of Public Budgeting, Accounting and Financial Management, 25(1), 113–134.Wallace III, N. D., Jiraporn, P., & DaDalt, P. (2006). Causes and Consequences of Audit Shopping: An Analysis of Auditor Opinions, Earnings Management, and Auditor Changes. Quarterly Journal of Business & Economics, 45(1/2), 69–87.Yaping, N. (2005). The Theoretical Framework of Earnings Management. Canadian Social Science, 1(3), 32–38.Zhu, K., & Sun, H. (2012). The reform of accounting standards and audit pricing. China Journal of Accounting Research, 5(2), 187–198.